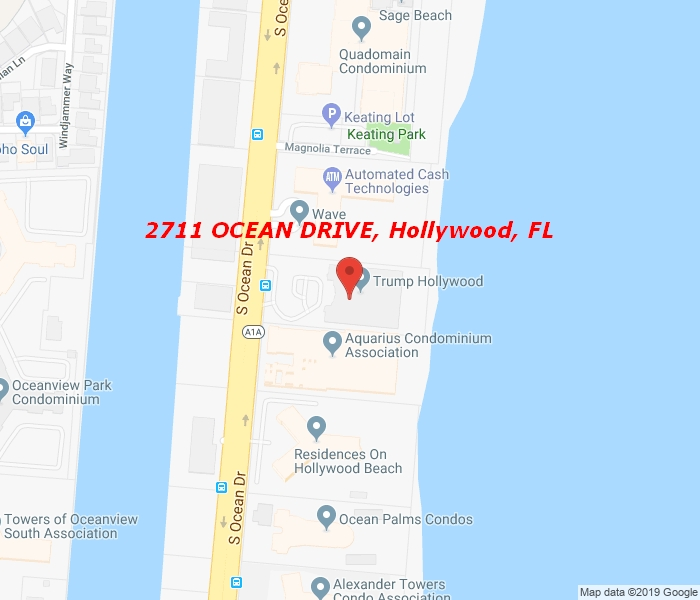 PRICED TO SELL!Trump Hollywood lowest price in bldg. North side of bldg.very rarely available features NE ocean views/west intracoastal/city views. Over $150,000. in upgrades, 3rd bedroom can be re added ,private elevator,240 ft beach access,2 story lobby w/modern technology, 5 star amenities, spa & gym,lighted tennis courts, business center fully equipped.Pool attendant & beach towel service.24 hr concierge,cafe,cigar lounge,multimedia room & bar for you to enjoy. Cabana available at an additional price. Minutes to shopping, restaurants & casino. Must see!